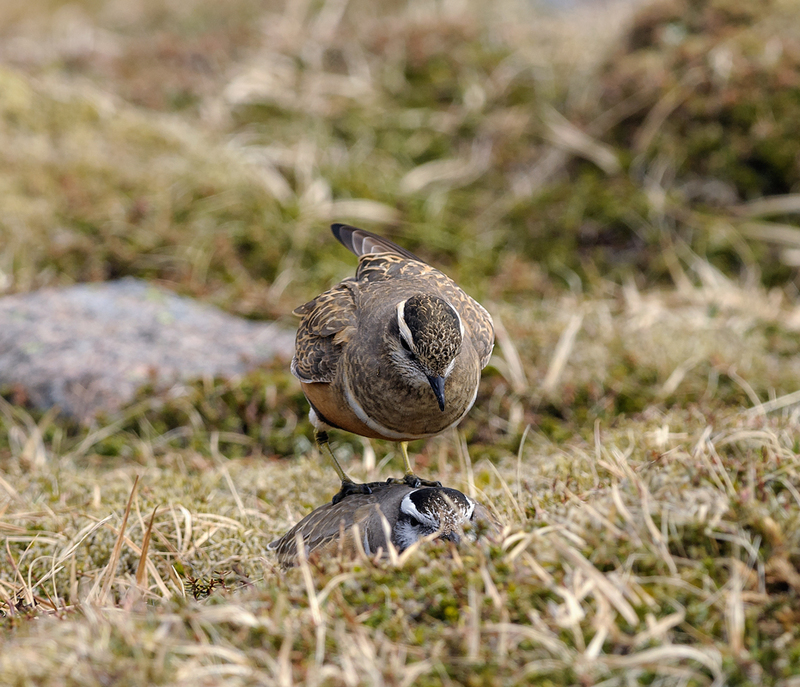 I set off early and made the long trek into the hills in search of dotterel. I caught sight of the female bird first with her rich chestnut-orange belly. Then a male made an appearance and started to display to the female. She was obviously impressed and allowed the male to mate with her, it was all over in a split second. I could not believe my luck and left them to it and started the long journey back home very happy.